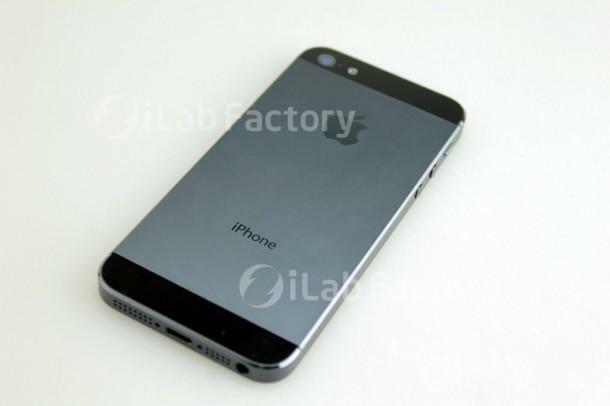 Pictures of an alleged fully-assembled next-generation iPhone hit the web on Sunday, offering what could be the most detailed look at Apple's upcoming device yet. 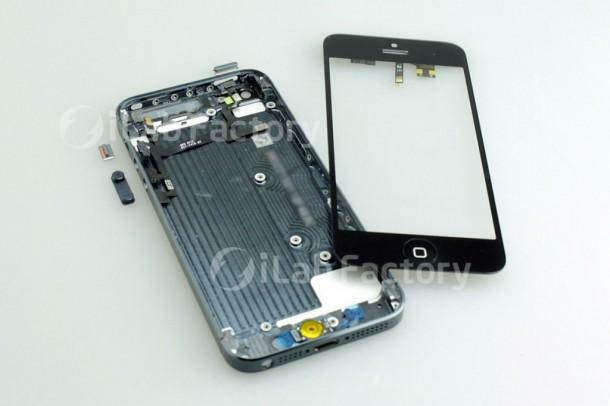 The photos, posted on the blog of Japanese iPhone repair company iLab Factory, depict what is supposedly a complete next-generation iPhone built from leaked parts sourced from China. The purported unit pieces together previously-seen components including the smaller 19-pin dock connector first rumored in June and 4-inch display and a relocated headphone jack. 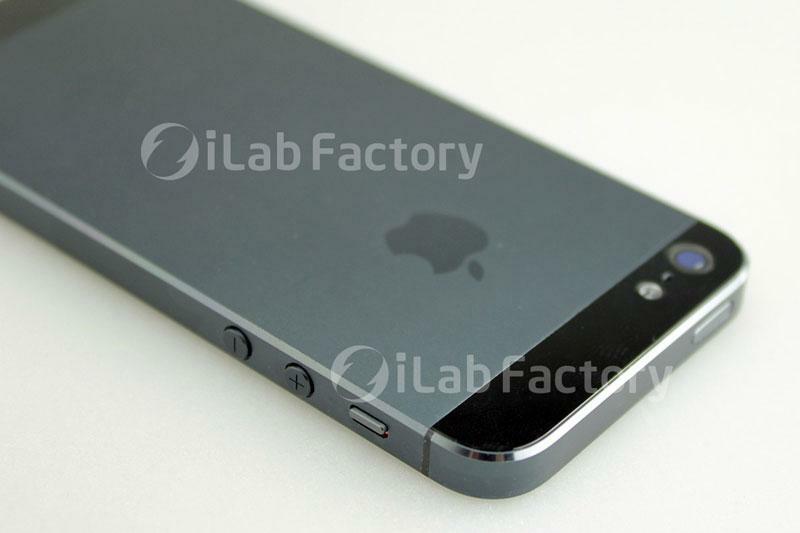 The site notes that the home button's finish has been modified and feels to be improved. A report in April found a supposedly leaked home button had been slightly redesigned internally to accomodate changes made to the screen and case. While all of the external parts are in place, most of the handset's innards are missing with only power and sensor flex cables and accompanying home button circuitry installed. This lack of integral electronics, such as cameras, logic board and battery, hint the supposedly-leaked parts may have come from an upstream supplier rather than an assembly plant. Pictures of the unit's casing show the two-tone aluminum design first seen in early June, though noticeably absent is the nano-SIM card tray purportedly leaked in May. 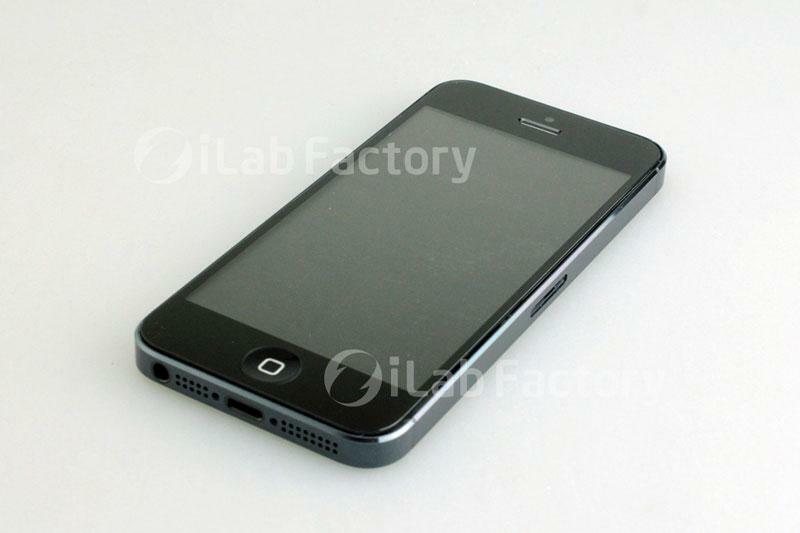 The unit's front seems to sit tightly with the uni-body casing which, unlike the current generation iPhone 4S, features a slightly beveled edge. 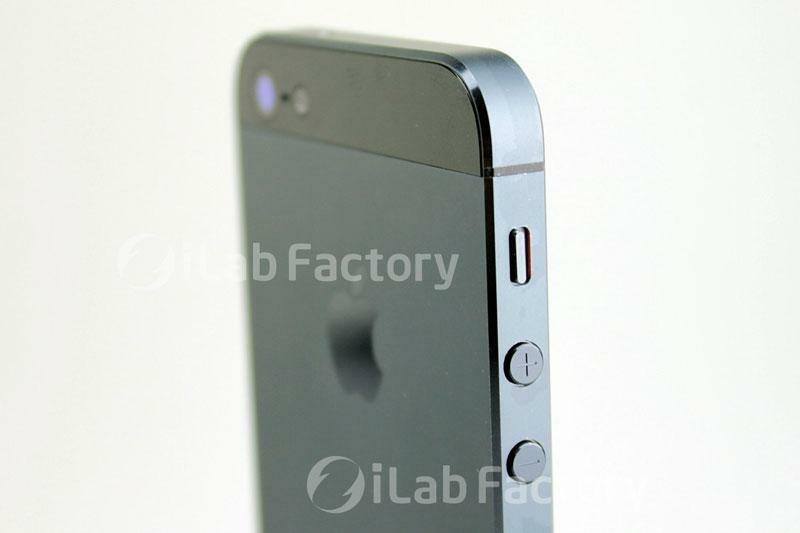 Side shots show the expected volume rocker button assembly and hold switch as well as a sleeker profile compared to existing iPhones. Making a reappearance is the small hole located beween the camera assembly and the unit's LED flash, a feature which was rumored to be removed in final production models. As mentioned above, much of the internals are absent, however what is in place yields some insight into how Apple plans to utilize the cramped space. The site notes three screw anchors on the back plate will likely hold the display in place while four screw anchors located on the unit's right wall and six on the left will most likely secure integral components as the device can no longer be opened by removing case-back. Also new are four screw holes at the top of the case near the power button though their use remains a mystery. Overall, the site points out the alleged device boasts a high-quality milled aluminum feel consistent with all Apple products and makes special note of the unit's thinness. 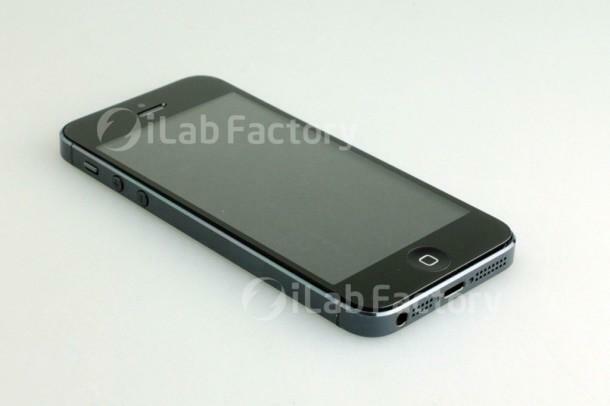 Apple is rumored to announce a follow-up to the iPhone 4S sometime this fall with one analyst estimating an early-September launch.